MARINA DEL REY — The community is invited to experience a taste of the boating lifestyle during the MarinaFest Boat Show and Marina del Rey Open House, Saturday June 8. Boats will be displayed in the water, and various marine supply vendors will be selling the latest boating gear and services on shore. The boat show and open house is a free event, held in conjunction with National Marina Day. Marinas across the United States will be celebrating and promoting the boating industry by hosting a variety of “welcome to the water” events. In Marina del Rey, a selection of new and brokerage motoryachts, sailboats, fishing boats and family sportboats will be displayed at MarinaFest. Several of the vessels will be open for visitors to come aboard and inspect. Show-goers can also tour the wetlands and take a look inside local yacht clubs. For those looking for the latest in marine gear, various companies will be selling accessories, electronics and watersports equipment on land. 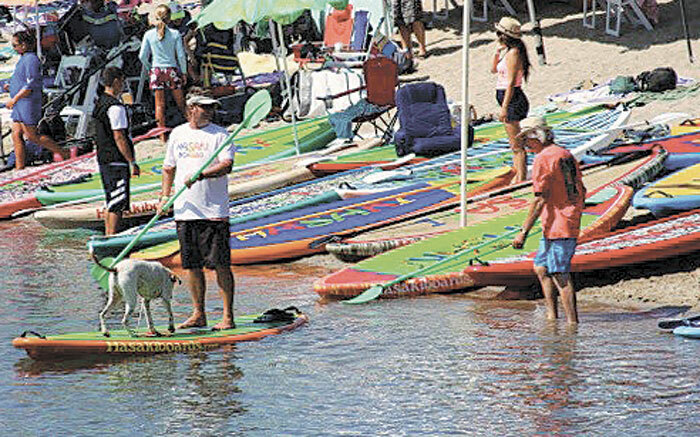 Kayaks, windsurfers and paddleboards will also be sold at the event. Free sailboat rides will be offered by Santa Monica Windjammers Yacht Club from noon to 5 p.m. A water taxi service will pick up attendees and cruise them to various open house events at California Yacht Club, Pacific Mariners Yacht Club, Santa Monica Windjammers YC and South Coast Corinthian Yacht Club. Boat owners can also look for deals at Pacific Mariners YC’s annual marine and non-marine swap meet, starting at 8 a.m. Featured sponsors and contributors to the event include Catalina Yacht Anchorage, Cruising Yachts Unlimited, US Sailing, California Yacht Club, and many more. The show will include displays from Marina Sailing, S&K Dive Service, Blue Pacific Sailing and others. The Marina del Rey MarinaFest and Boat Show will be held from 10 a.m.-6 p.m., June 8 at Catalina Yacht Anchorage, on Bali Way in Marina del Rey. Admission is free. More information can be found at facebook.com/marinafest.